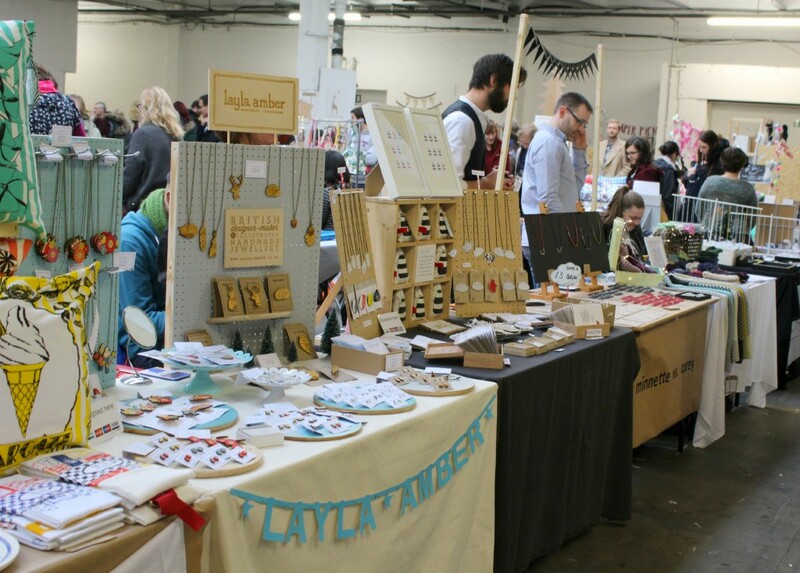 Craft fairs and markets are our favourite way to connect and shop with designer/makers. 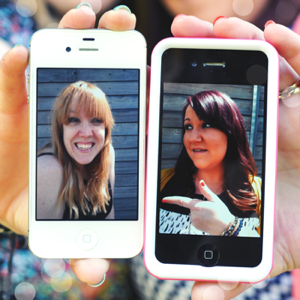 We get to have a chat with the super talented folk that create the handmade things we love. But lets face it they can be daunting for sellers who spend a lot of time creating alone. 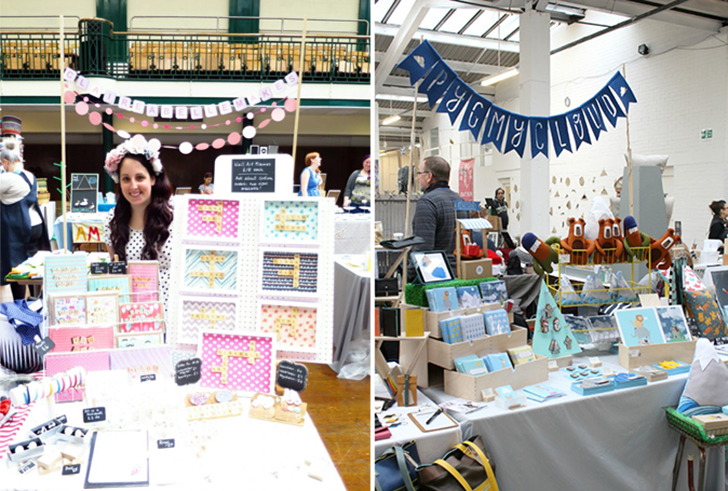 We asked our lovely friend Claire, designer and blogger at Claireabellemakes, to share her top ten tips for getting organised and selling at craft markets to make the whole thing a little easier to navigate. have sold there before to ask how they found it. The best markets I have done have been those that were recommended to me by others. Ask the organiser about footfall and what kind of marketing they will be doing to promote the event. 2. 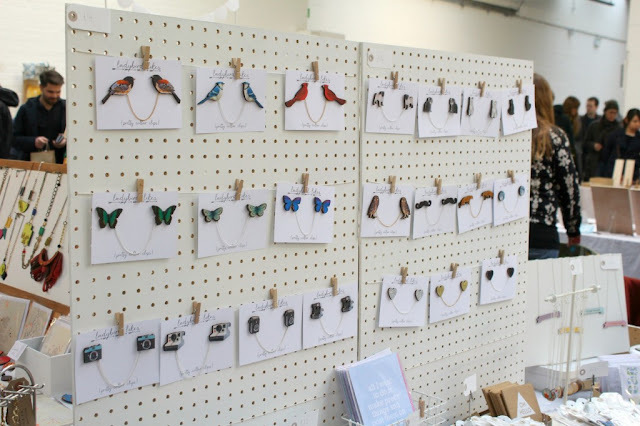 Do a mock set up – Each fair will have a different sized booth or table, so be sure to measure out the space provided to see how much stock you might be able to display. I like to tape out the table size in my studio then work out how I can arrange stock accordingly. Take a photo. Then, when you arrive at the fair, you will have a reference picture and it will be quick to set up! 3. Ask for help – Personally I find fairs to be one of the most exhausting aspects of my business and they can often be unpredictable. I did one market which was in a gazebo outside during December. I had anticipated it would be cold, but I didn't realise how cold I would get after 8 hours of standing behind a stall. Ask friends to bring you hot drinks and extra socks when needed! As I also have health issues, I often ask a friend to help with my stalls, especially if they require travel to the venue. Having someone there who can relieve you for a rest period or loo break is invaluable. You could offer to pay them a small fee or even make them something custom as a thank you. I will always pay my helper’s travel and give them lunch and then we decide between us how they would like to be repaid for their time. 4. Take a ‘useful box’ – I like to bring along a box of useful items that I could need for any fair. This box includes pins, string, tape, scissors, chalk, notepad, pens, pegs. 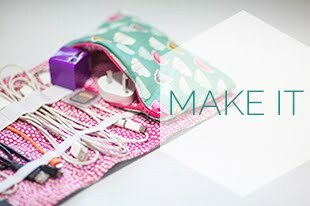 It is invaluable to have these items on hand and although you may not need them for every market, you will make friends with people who are in desperate need of string or tape as they wont forget you! I also make sure to bring a stamp with my web address on in case any business cards run out. Sometimes you can never tell how busy a market will be! 5. Take water and snacks – Some markets can be long and with travel, set up and set down, you may work long periods without a proper break. Be prepared and take plenty of water with you, as well as snacks. You will be so pleased to find an apple in your bag once you hit the train home and your fair fatigue is setting in. 6. Keep cash safe – I used to take a cash tin to markets, but felt very uneasy about leaving it when visiting the ladies even though it had a little key. In comes the Bum Bag, or as the Americans call it, the Fanny Pack. I had one in the 80s and it rocked my world, so I made sure the one I use for markets is just as amazing. 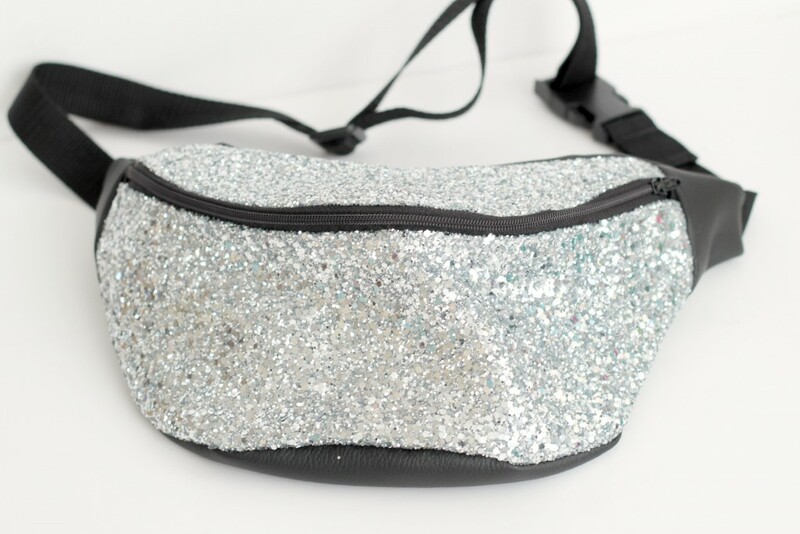 Cue this amazing glitter bum bag from Beksies Boutique. It helps to keep all cash on me as I then know where it is at all times. 7. Accept cards – As well as taking cash, I always make sure to accept card payments at any markets. Customers are likely to spend more if there is an option to use a card. 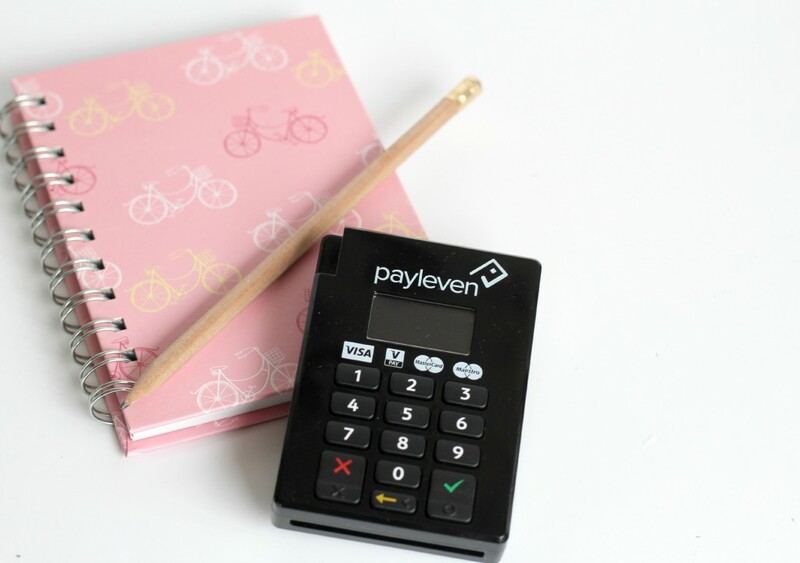 Portable card machines such as this one from Payleven, are really easy to use and connect to smart phones via Bluetooth. There are even options to send receipts to customers and having a machine will provide your business with credibility. 8. Offer deals - I want my market customers to feel as though it is worth visiting my stall, so will often offer exclusive deals for that day. For example, 3 cards for £6 instead of £2.50 each. Share these offers on social media prior to the event and it may make people want to visit you just for the deals! 9. Inventory – Prior to each market, make a list of all stock you wish to take along and print this out for your records. Each time an item is sold, tick it off on the corresponding inventory list. At the end of the day, you can check stock against items sold and ensure that each sale is accounted for. It takes a bit of preparation, but saves tons of time when cashing up at the end of the day and even when you are filing your accounts. 10. Network – Each market opportunity is a fantastic way to network across the community. 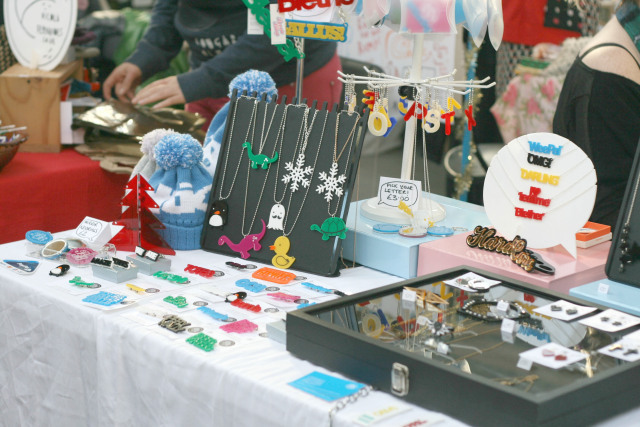 Get to know your stall neighbours and follow them on social media after the event. Keeping in touch with other vendors could lead to collaborations and opportunities. Thanks for having me today guys! 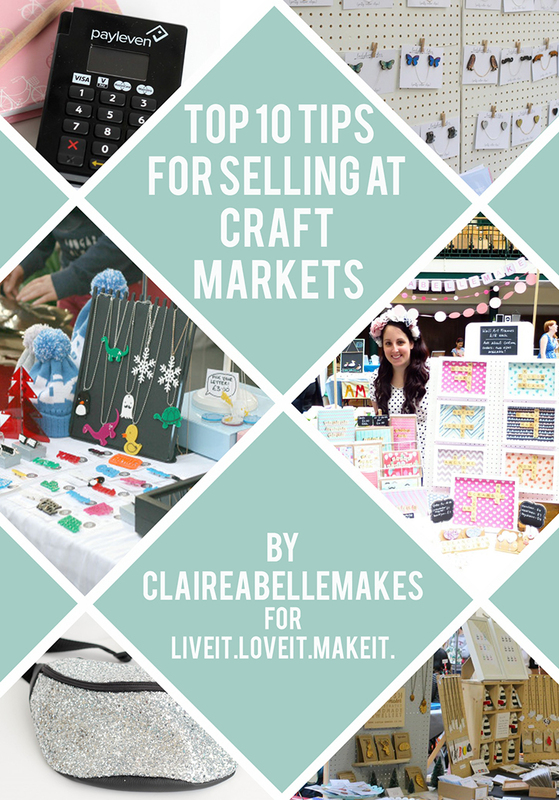 I've really enjoyed sharing my tips on preparing for craft markets and I hope your readers will find them useful. 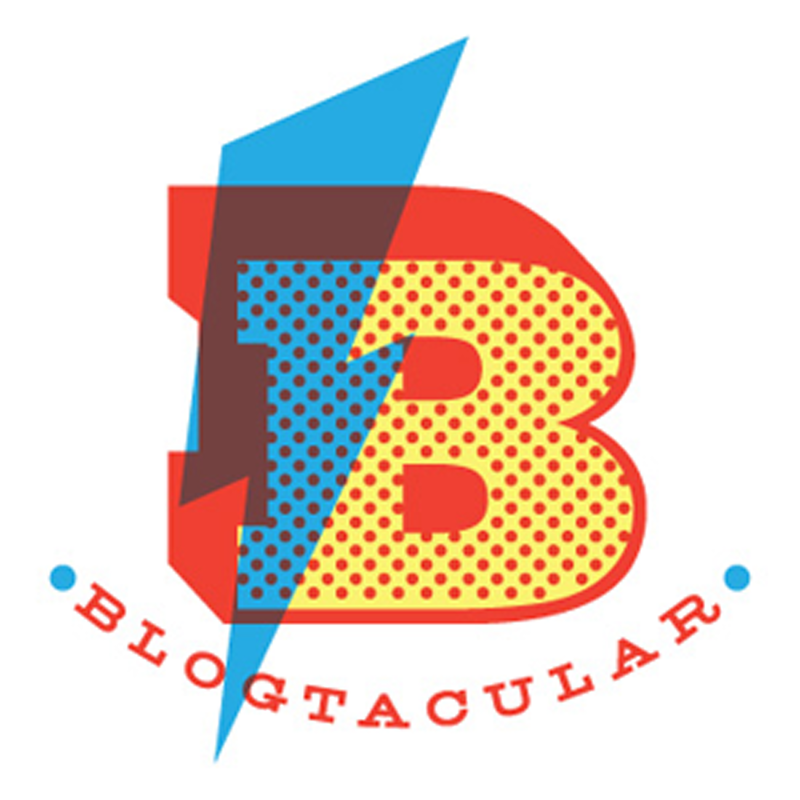 Why not take a look at my visit to one of my favourite markets ever, Renegade in London or a video of my time as a vendor at BUST Craftacular. Thanks for sharing your tips Claire. 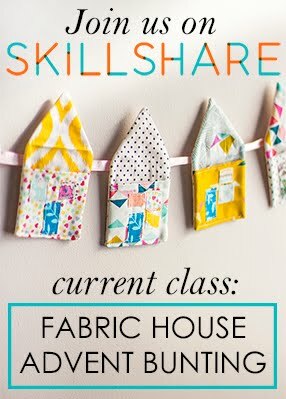 Lovely to have you around - I am sure it will come in super useful for all those Christmas fairs coming up! These are such great tips! I've recently started selling on Etsy and I love it! Thanks Abigail, so pleased you found the post useful. Off to check out your Etsy shop now! 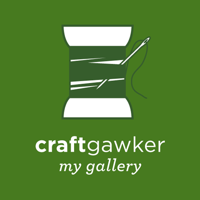 Ooh new Etsy shop to follow! Good luck. The tips are great aren't the year! Super useful for the Christmas craft fair season - oops I just dropped the C word!